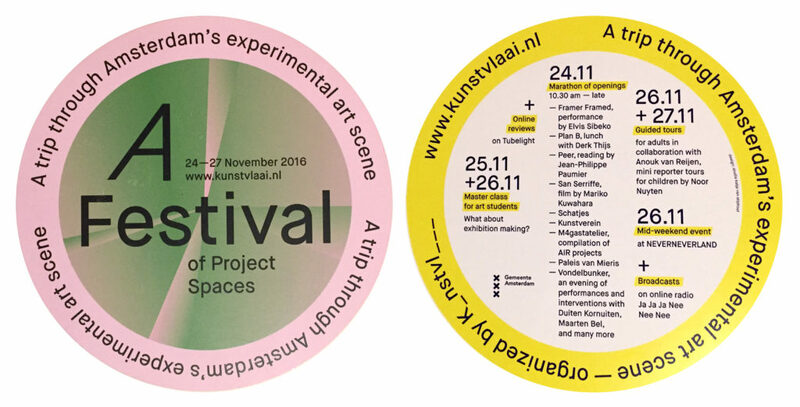 From November 24th till the 27th Schatjes participated in A Festival of Project Spaces, a trip through Amsterdam’s experimental art scene, organized by K_nstvl__. During the opening on the 24th we invited the participants to join us for an artist breakfast, starting at 15:00, with muesli, raisin buns, fruity snacks and vodka. We also invited our good friend, writer & poet Ike Krijnen to do a little storytelling about our exhibition ‘For What It’s Worth’. At the end of November the K_nstvl___ organised A Festival of Project Spaces, an event that puts the spotlight on the diverse collection of project spaces, art(ist-run) initiatives and platforms in Amsterdam. A Festival is specifically about showing the Amsterdam project spaces scene, during a weekend in which the capital’s art scene is central. 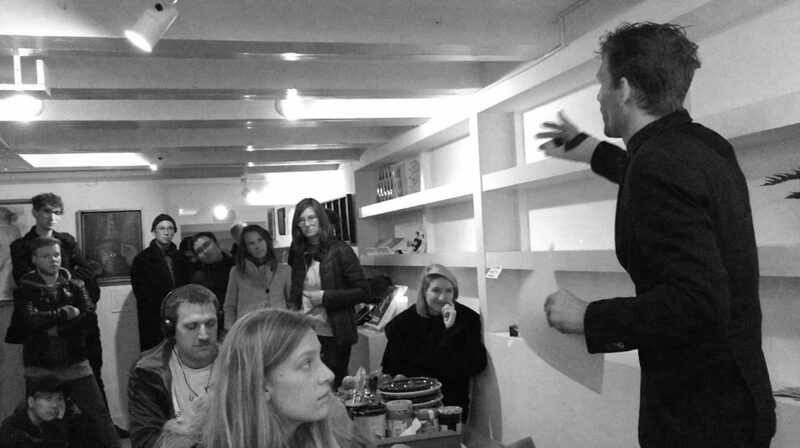 Our goal is to generate visibility for these specific spaces in Amsterdam. At the same time, A Festival functions as a field research on the different ways of exhibiting and presenting by project spaces. With a program brochure, a marathon of openings, guided tours and broadcasts on online radio, our aim is to extend the program of the current Amsterdam Art Weekend.